If Google introduces another animal into SEO it's gonna start to look like... well something, I haven't quite got that figured out yet. 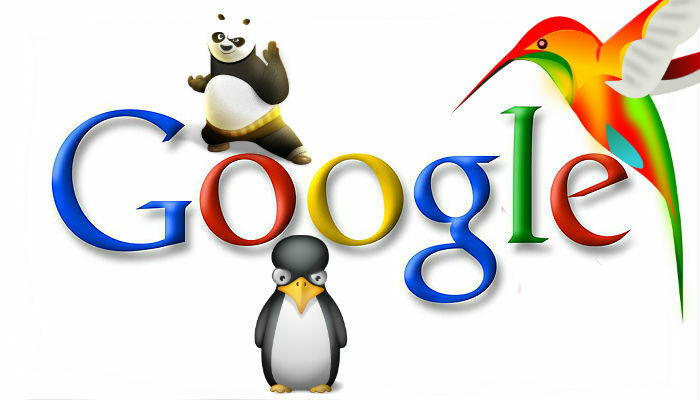 Animals and Google penalties.. hmmm... I'm not sure I understand why Google chose to connect the two yet, but there's one thing that is certain. Google has managed to gradually condition all of us in marketing and SEO to fear it's pets. Next thing you know it'll be the Giraffe update and we'll fear that one too.. It's just sad. Either way, what we have learned is that if you have a website you care about, if you have a website that you own and love, you better treat it like the tiniest drop of water could mess it all up for you and lead to it's ultimate demise and destruction. So if it's something you wouldn't do in the light, you probably better not do it behind Google's back or it will eventually catch up to you. Now that's not to say that if you get a penalty that there aren't exceptions, because honestly who can truly control ALL of the links that are associated with their websites. 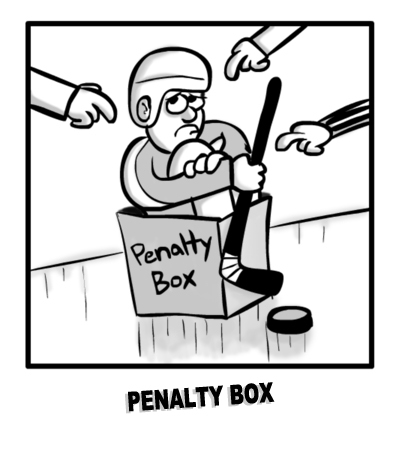 There's definitely room to be fair and rightfully so, because receiving a Google penalty doesn't always mean that YOU did something wrong. At the core of the Google penalty, it truly is about making the user experience more relevant and useful when an individual is in search of information online. Another valuable lesson we've learned is either play by Google's rules or GTHO (get the "heck" out). Figured I would clarify that little acronym for ya. What you don't want to do is engage in bad link building practices. You may be wondering, well what do you mean by that ??? Well let me shed some light on that for you..
posting the same article (over-posting) - EVERYWHERE.. need I say more ? footer links on Wordpress themes (lets face facts.. people crank these out and spam them all over the place just to get links).. it's another bad idea.. Google doesn't like footer links anyway.. If a link really matters that much, who is going to place it in the footer ?? Bad linking practices are what lead to Google penalties and of course that lends itself to the discussion of how to get yourself out of trouble once you get that ugly manual action notice, but we'll get into that one in another post. Nevertheless, if you're not familiar with spun content here's the skinny on that. Taking a piece of content that someone else has written and changing it to some degree to pass it off as your own work. If there's one thing that can be said about writing is this.. Writing takes time and doing it well takes even more time and if there's one thing that we all wish we had more of.. is time itself. Needless to say there's plenty of software out there that will spin content for you and even if it's not that readable it's still content that you can add to a webpage. However, Google is cracking down on these posers and rightfully so because it degrades the quality of information that exists online. So the bottom line on this topic and like the rest is just don't do it. Link farms is exactly what it sounds like.. take a group of websites and exchange links to build up link profiles for the sake of increasing the number of links each website has respectively. Everyone gets more links and this is a tactic that used to work for quite some time and now that the algorithms have greatly improved, this kind of tactic is easily detected, doesn't last long and provides no ranking benefit to those that try to employ this method anyway. Posting the same article everywhere just leads to red flags. You may think that it works from the perspective that you want to share it as many places as you can, but that kind of thinking will backfire and truly work against you. You may even think syndication and while that may not lead to bad things, the only real effective way to get the "same" content shared everywhere is when it's done organically. I say organically only to refer to when others share your content without any incentive or influence.. people sharing content because they want to. This is perceived much differently from Google's standpoint than you as the creator of the content sharing it all over the place and the benefits of others sharing your content are far greater than you doing it yourself. Where the trouble begins is behavior that lends itself to spamming by over posting the "exact same content" to several locations across the web. Duplicating content is just a bad practice in general. If you aren't trying to generate fresh content then you can expect that there aren't going to be rewards for your efforts. Duplication of content has long been recognized as a terrible practice to engage in and most SEO's worth their salt steer clear of this as well and these days with penalties running rampant, duplicate content raises red flags that can lead to de-indexing a website from the search results entirely depending on the severity and extent of this tactic. Using the same anchor text is just your way of saying hey Google, look at me.. this is what I'm trying to rank for. Using one anchor text across multiple pages just looks bad. There was a time when this was completely acceptable and it worked. It worked really well because this was a well known method to help boost rankings and was primarily used by SEO's. However, you're much better off using anchor text sparingly these days and allowing others that link to you to choose the anchor text. Overuse of anchor text again leads to penalties that can severely diminish, your ability to earn revenue and truly hurt your website overall. Without going into the last few bullet points I've made, the reality is that in order to avoid Google penalties, stick to the mindset that creating content for your visitors may not lead to instantaneous boosts, but it will lead to better results down the road with consistent effort. Tactics of the past do not work any longer and the algorithms are constantly evolving and they are going to win no matter what you do so play by their rules. You may as well just cave in to that reality and quite honestly keeping your website focused on improving the user experience and providing information that will benefit the user is a long term winning strategy and who could argue with that.